Before taking his talents to the Chicago Bulls and revolutionizing the NBA game, Michael Jordan was a star in his own right at the University of North Carolina. 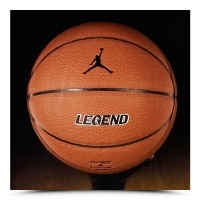 Jordan, the ACC Freshman of the Year hit the game winning shot in the 1982 NCAA Championship game. 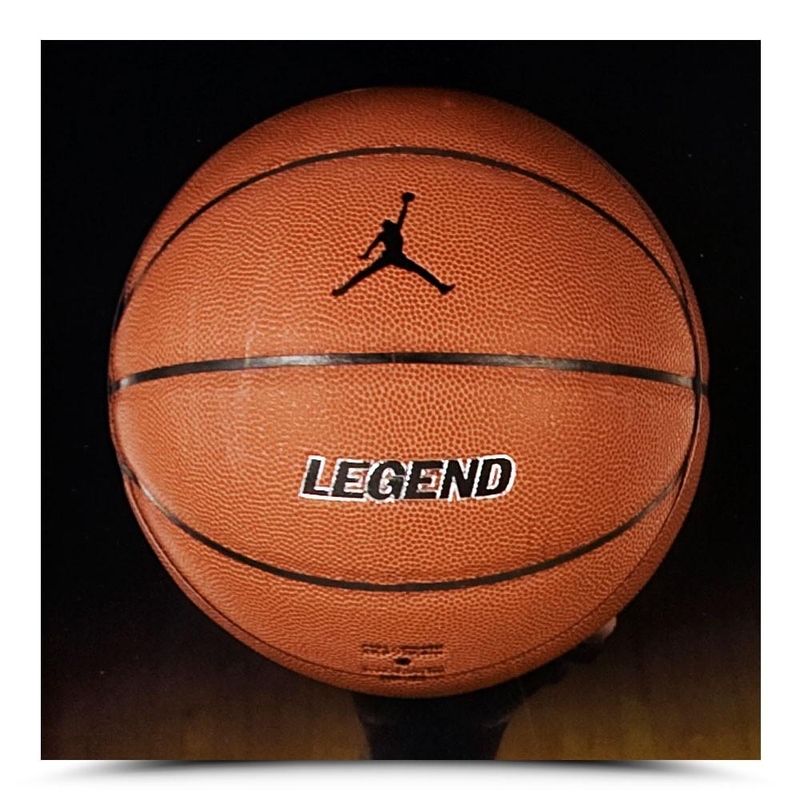 That shot, helped propel Michael Jordan to the player we would love for the next two decades. Before leaving Chapel Hill two years later, he was a two time consensus NCAA All American 1st team member. 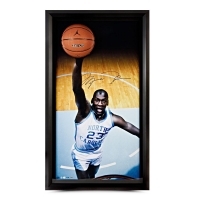 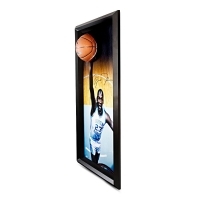 He also left UNC in 1984 with several college players of the year awards, including the Naismith College Player of the Year award, John R. Wooden award, Oscar Robertson Trophy, and the Adolph Rupp Trophy.This Michael Jordan signed oversized 25x45 inch image of #23 soaring towards the hoop is framed with an actual Brand Jordan basketball breaking through the Plexiglas. 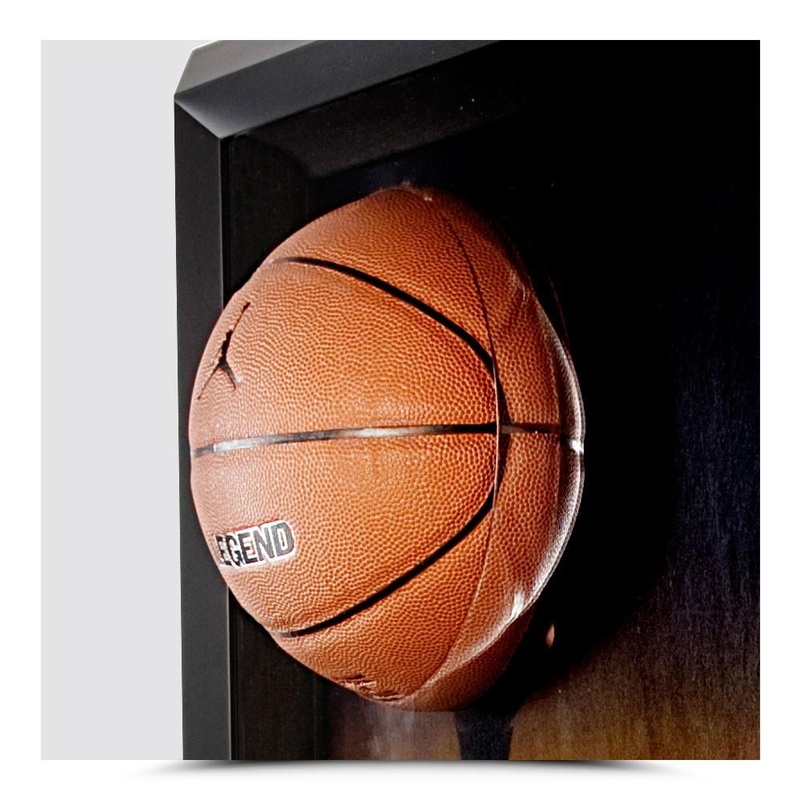 This the first time Upper Deck Authenticated has ever produced a North Carolina breaking through piece. 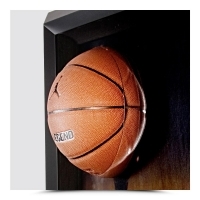 Jordan's autograph has been authenticated by virtue of UDA's Patented Five-Step Authentication Process.